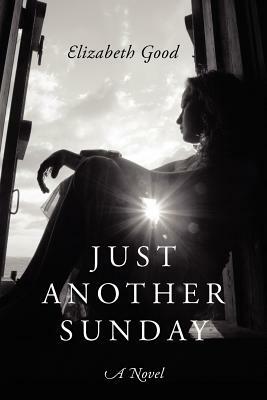 Just Another Sunday is the first novel by author and dental office manager Elizabeth Good. In the spring of 1968, Lia is 15 years old when her Italian-American family decides to leave Brooklyn for their dream home in the suburbs. But Lia is reluctant to pull up roots and go anywhere, especially to some godforsaken Jersey town. "I would rather thrive in the grime of New York than be plucked from my roots and transplanted in Nowheresland, just to wither away and die. I swear this is the kiss of death." Her father, Frank Benedict, has worked hard to afford his own home for his wife, Marie, and five children after years of renting in Brooklyn. With the recent marriage of their eldest daughter, and visions of grandchildren in their future, new life in suburbia couldn't be more promising. But their dream home quickly becomes a living nightmare, and the family's move will prove to be the last they will ever make as an intact family of seven. Just Another Sunday is a compelling five-year snapshot of one woman's life, taking us through teenage angst and rites of passage, new love and broken hearts, friendships and betrayal, triumph and tragedy, and one family's struggle to cope with the inconceivable. Although Just Another Sunday is packaged as a fictional, coming-of-age novel, the book reads very much like a memoir. In fact, the novel kicks off with a formal introduction that provides readers with explicit details about Lia's family background and childhood upbringing, which points to signs right away that the novel is likely to read more like fact than pure fiction. The introduction contains the type of information that is normally found integrated into the narrative of most stories. Just Another Sunday begins quite charmingly, with a glimpse into the loving relationships between Lia and her family, but soon becomes exhausting. The narrative is mainly comprised of numerous, intricate details into the life of an otherwise ordinary teenage girl - such as the comments she mutters to herself as she leaves the house, the endless insecurities about her physical appearance, and every other inner thought that flies through Lia's mind. Lia lacks unique characteristics that could make her stand out from all other characters that exist in the world of coming-to-age literature. Just Another Sunday has a sound foundation, but is difficult to get through, mostly because it reads like a personal journal that has been converted into novel form. What are your favorite coming-of-age novels? Share your thoughts with us in the comments section below!